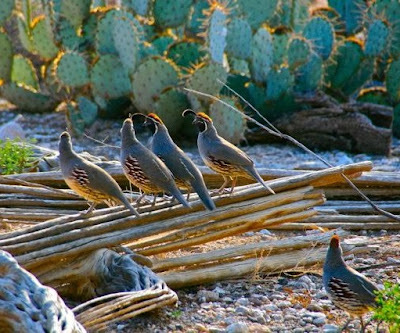 I hope you enjoy this beautiful photo of a flock of quail gathered on a saguaro skeleton. The light makes the feathers almost glow. Lovely! The cactus feathers glow also! What a beautiful photo, George.